Our Three Countries Tour takes you to the major highlights of Botswana, Zimbabwe and Namibia. In Botswana you will experience the Okavango Delta, in Zimbabwe the Victoria Falls. 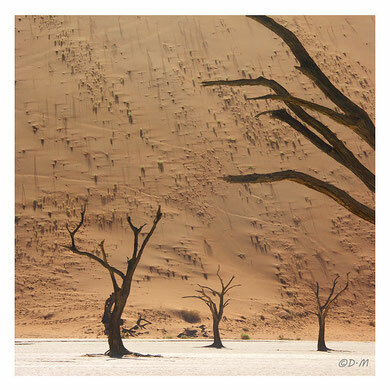 In Namibia you will visit the Caprivi Strip as well as the dunes at Sossusvlei and Dead Vlei and see the Sesriem Canyon, Welwitschia, Moon Landscape, Swakopmund, Rockpaintings in the Erongo mountains, visit the San People and finally the Etosha National Park. Today’s journey takes you through the Gaub- and Kuiseb Canyon. Along the road to Swakopmund you have the opportunity to view the moon landscape and the ancient Welwitschia, named after the Austrian botanist Friedrich Welwitsch who first described this amazing plant. These ancient plants may reach an age of 2000 years. Take a break at the scenic viewpoint and let your gaze wander across the stark vistas of the Moon Landscape. In the morning you could visit the "Living Museum", a project in support of the San people, where visitors can become acquainted with the way of life of these most ancient inhabitants of Namibia. They will show you how they hunt, how they fashion ornaments and how they light a fire by rapidly twirling a hardwood stick into a base of soft wood. From there you continue towards the Etosha National Park, another highlight during your travels in Namibia. This day you will spend travelling through Etosha. The park covers an area of about 22,000 km² and is dominated by the huge salt pan measuring 4,700 km². 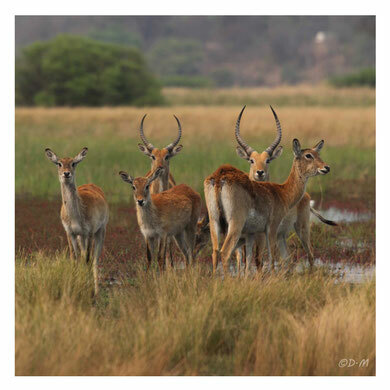 The particular fascination of this park is due to its diverse vegetation zones, ranging from short grass savanna to woodlands, which provide a variety of habitats for many different animals. Apart from elephant, rhino, giraffe, zebra, various antelope and many different bird species you will also find lion and other predators. To reach your destination for tonight you leave the park via the Von Lindequist Gate. Today you set out for the Caprivi Strip, making a stopover at Rundu. Your Lodge is situated in a picturesque setting about 12 km west of Rundu on the banks of the Okavango River. Your Caprivi adventure is about to begin! The Caprivi Strip is the result of the arbitrary definition of boundaries during colonial times. On the way to Kongola you drive through the Bwabwata National Park. Camp Kwando offers many activities and excursions. Take a trip on the Kwando River either by boat or by mokoro (dugout canoe). 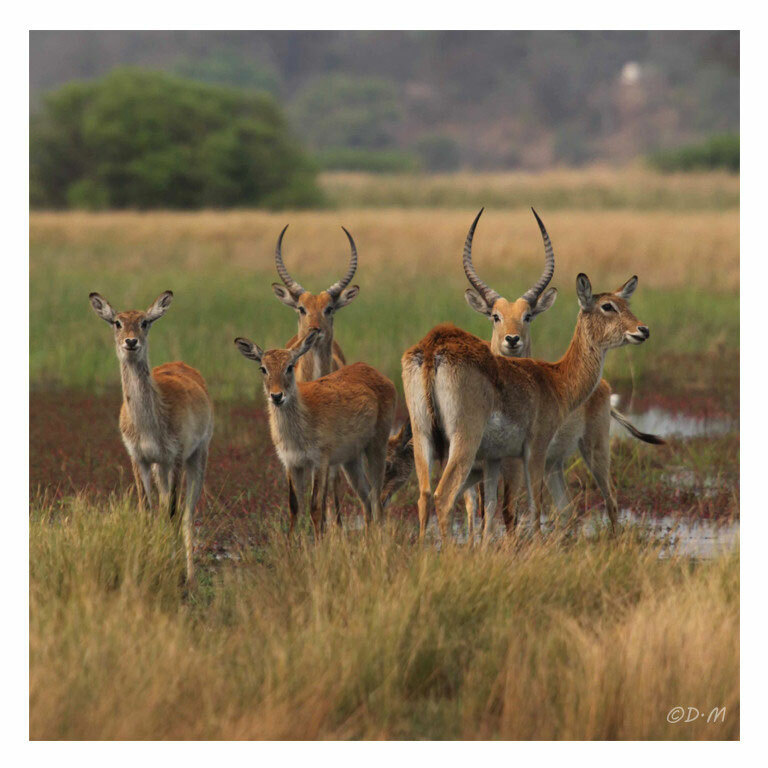 On a game drive to the nearby Mudumu Nationalpark you can observe countless animal and bird species. Amongst others you will see elephant, hippo and crocodile. In a nearby traditional village you can find out more about local methods of fishing and hunting and about the way of life of its inhabitants. Today you will enter the next country! You cross the Namibian border into Botswana. From the border post you travel through the Chobe National Park up to Kasane. The four countries Namibia, Botswana, Zambia und Zimbabwe meet at this point. 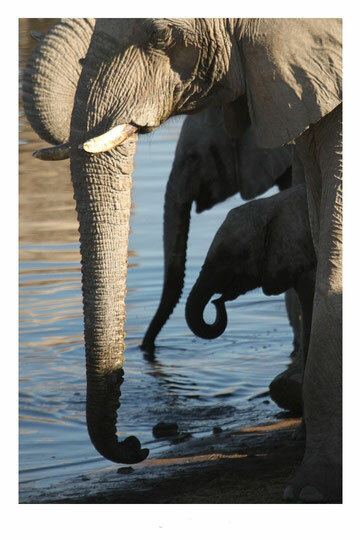 Being amply supplied with water from the Chobe River, the Chobe National Park is home to a rich diversity of animals. You will be spending the following three days at the Chobe Safari Lodge and return your rented car as you will no longer need it. The Lodge is situated on the banks of the Chobe River with a beautiful view. Your stay here includes five activities (including all park fees) as well as a day excursion to the Victoria Falls. Your guide takes you to the Victoria Falls, which were named in honour of Queen Victoria, the British monarch reigning at the time, by the Scottish missionary David Livingstone. The falls are a stunning natural phenomenon and were declared a world heritage site by UNESCO. The roaring thunder of the water masses can be heard from afar. There is a variety of activities for you to choose from: for the very courageous there is bungee jumping and rafting on the Zambesi River; however, you may feel more comfortable taking a scenic flight with breathtaking views of the falls, going on a canoe trip, riding an elephant and so on. Exiting days are in store for you! Today a small aircraft will take you into the Okavango Delta, a pristine region without equal. Many activities are offered. 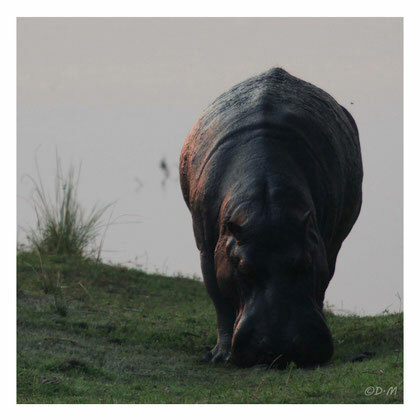 During a trip in a mokoro (dugout canoe) you may observe hippo, crocodile and many other animals. The diversity of birdlife along the channels is extraordinary. A ranger can take you on a hike to experience nature and its inhabitants at close quarters. Or you just make yourself comfortable in the camp sipping a refreshing drink and enjoy watching the various animals go about their daily lives. 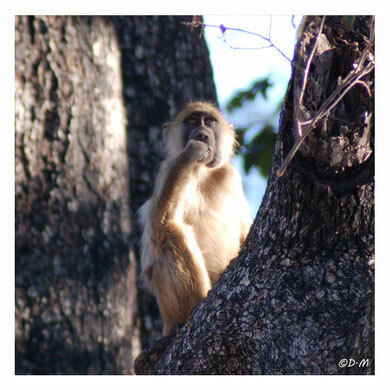 Today you fly to Maun where your driver will meet you and take you to the Royal Tree Lodge. This private reserve on the banks of the Thamalakane River, set in a stylish African ambience, is the ideal place to relax before setting out on your homeward journey the next day. Your driver takes you to Maun Airport to board your homeward flight taking along many unforgettable memories.